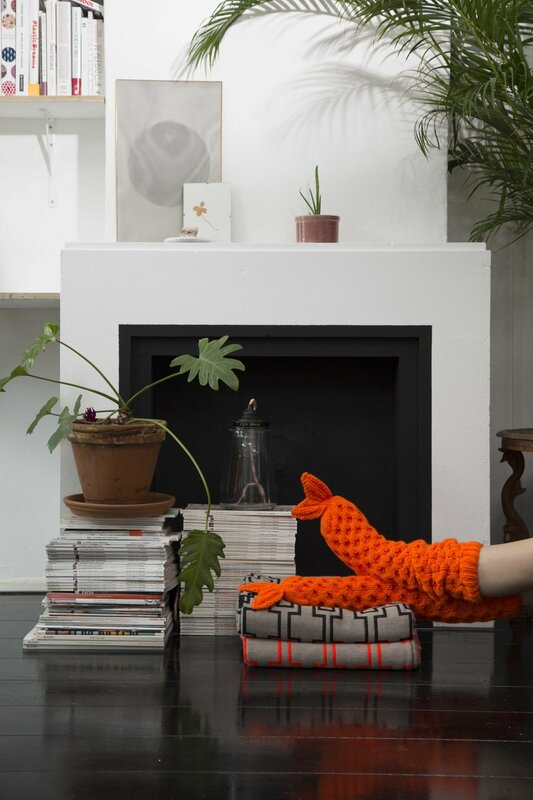 'Fiske Fishsocks' find their origin in a research upon the traditional Dutch folklore. Near the Dutch coast a special knittingstitch was used in the traditional fisherman's attire to keep them warm during rough weather. With 'Fiske' you wear modern day socks with a nod to the century-old Dutch fishery. The used stitch has both a breathable as well as an insulating effect and is available in the colours neon orange and grey. 'Fiske' Fishsocks are produced in Bulgaria by women who still possess the knowledge of hand knitting. The socks are made in a sustainable way and furthermore they contribute to the preservation of the craft by passing on the knowledge and skills of knitting.